*Valid at any Berglund Automotive Dealership. One coupon per visit. Not valid with any other coupons or advertised specials. Offer expires end of month. Visit our Roanoke Service Center for special INFINITI service offers! 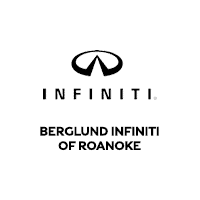 Berglund INFINITI proudly performs expert auto maintenance and repairs for drivers around Christiansburg and Blacksburg, Virginia. Is your luxury vehicle in need of a quality service performance? Stop by Berglund INFINITI for special offers on your auto maintenance today! Receive Special Offers at our Berglund INFINITI Service Center! We offer drivers various discounts on parts and accessories, as well as maintenance and repair services. If your vehicle is in need of an oil change, a battery replacement, or a brake flush, you could potentially receive a percentage off of the parts required or labor performed. You can also receive discounts on tires and vehicle accessories sold at our dealership. Be sure to check for current special offers before your next visit! Schedule your next maintenance or repair service at Berglund INFINITI. We look forward to helping you save on your auto services!